Your customers have to be able to read your logo; like, if you're in the business of selling products to colorblind people, your logo probably shouldn't be a mashup of red and green pointillism. 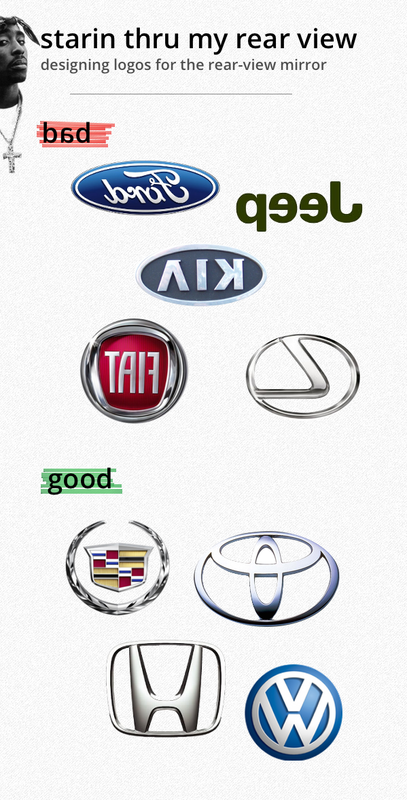 Which is why I find it surprising that so many automotive logos are illegible in the rearview mirror, in that 10-20% of our consumption of car logos is through our rearview, aka "what's that dope ride driving behind me?" Below, find the ones successfully rearviewified… as well as those done gnorw.